Clinton Calls for Investigation of ExxonMobil—But Why Now? David Sirota and Andrew Perez report in the International Business Times that presidential candidate Hillary Clinton has now demanded a federal investigation of ExxonMobil for its work to deny the effects of climate change. Her call for an investigation follows previous similar requests made by Bernie Sanders and Martin O’Malley, her opponents for the Democratic presidential nomination. ExxonMobil’s climate change denial agenda is hardly a newsflash—and ExxonMobil is not out there on its own among the world of powerful petroleum producers aiming to reduce or expunge public concern about climate change. In early July, the Union of Concerned Scientists published a report on the internal communications of oil and gas companies, including ExxonMobil along with BP, Chevron, ConocoPhillips, Peabody Energy, and Shell, documenting their “corporate disinformation” strategies over some decades. Not long after the report was released, word came about an Exxon employee who had warned his peers in 1981 of trying to get the giant oil company to appreciate the “scientific reality” of global warming and the prospect that the Natuna gas field off the coast of Indonesia that Exxon wanted to develop could be the world’s largest point source of CO2, a story a little like that of Jeffrey Wigand, the Brown and Williamson Tobacco researcher who exposed that company’s efforts to mislead consumers and the public about the health effects of nicotine. In some instances, the stories of ExxonMobil’s funding of climate change deniers has been publicly known for many years. 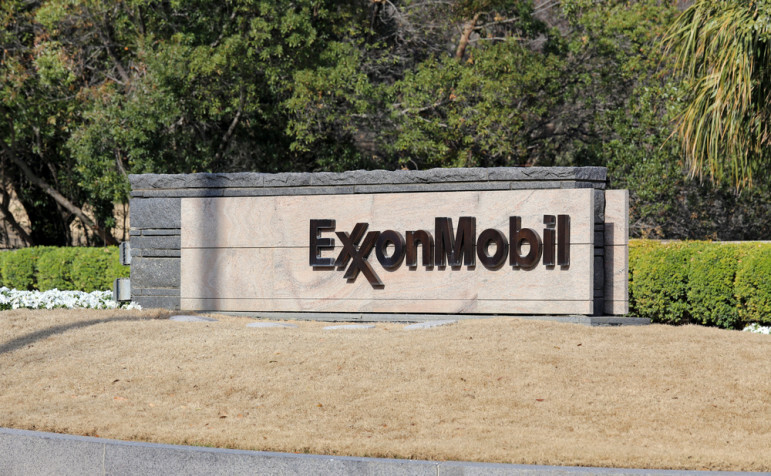 In 2005, a study by UK researchers revealed that ExxonMobil had made grants of $2.9 million over the course of a decade to 39 organizations engaged in climate change denial. In 2008, ExxonMobil actually pledged to stop funding some of these groups, ostensibly because some of the groups had become “distractions” for the oil giant, but Greenpeace discovered that Exxon had reneged on the defunding commitment. In 2013, a Drexel University researcher named Robert Brulle produced a study documenting that 140 conservative foundations, including ExxonMobil’s, had distributed $558 million to 100 climate change denial groups between 2003 and 2010. Up to 2007, ExxonMobil was making its climate change denial grants through its corporate foundation, making the information publicly disclosable, but in 2008, it switched to making its grants directly, bypassing the foundation, to “dark money” groups, making its funding difficult to trace. In 2014, the Union of Concerned Scientists ran a new tabulation of ExxonMobil support of organizations with climate change denial agendas. What makes Hillary Clinton willing to call for a federal investigation now, but not before this time? Sirota and Perez note that “her call for an investigation comes only months after the company decided to stop sponsoring her family’s foundation,” which has acknowledged receiving as much as $1 million from the company. Specifically, ExxonMobil chose not to be a sponsor of the recent Clinton Global Initiative gathering, though Sirota and Perez noted that ExxonMobil executives were on the program nonetheless. Last week, Clinton announced that a federal probe was justified because “there’s a lot of evidence that [ExxonMobil] misled” the public on the effects of climate change. According to the Center for Responsive Politics, for the 2015-2016 election cycle, Hillary Clinton ranks fifth among all federal election candidates, presidential or otherwise, receiving donations from oil and gas companies, ranking behind only Ted Cruz, Jeb Bush, John Boehner, and Lisa Murkowski. Mother Jones has reported that the Clinton campaign has many campaign donation bundlers who are quite closely associated with big oil, representing the likes of Chevron and others, with some specific donors to her campaign from ExxonMobil itself. Other oil and gas donors to the foundation include Anadarko Petroleum, BP, ConocoPhillips, Chesapeake Energy, Citgo Petroleum, and Occidental Petroleum. Environmental activists have long decried both the Clintons’ connections to big oil. In a Reuters article about large donations from both ExxonMobil and Chevron to the Clinton Foundation, Friends of the Earth spokesperson Ben Schreiber commented, saying of the donor companies, “It’s hard to believe that they don’t think they aren’t getting something for their contributions.” However, it is worth noting that Hillary Clinton has come out—finally—against the Keystone Pipeline despite donations to the foundation from oil and gas companies supporting the pipeline as well as the Canadian government’s trade office (under former prime minister Stephen Harper). During all the well-documented years of ExxonMobil (and others) underwriting the deniers of climate change, Hillary Clinton wasn’t calling for federal investigations. Now she is, though she is only joining the other Democratic candidates who are doing the same. Would she have called for an investigation if ExxonMobil had not ceased its donations to the Clinton Foundation? That is the problem of her being a politician (or political candidate) with a family foundation in tow, where questions can be raised due to the foundation’s solicitation of funds from sources that other progressive political elements might find noxious. One hopes that donors to her campaigns and to her family foundation do not color her opinions on public issues.